Summer time is just around the corner and that means being in the great outdoors. 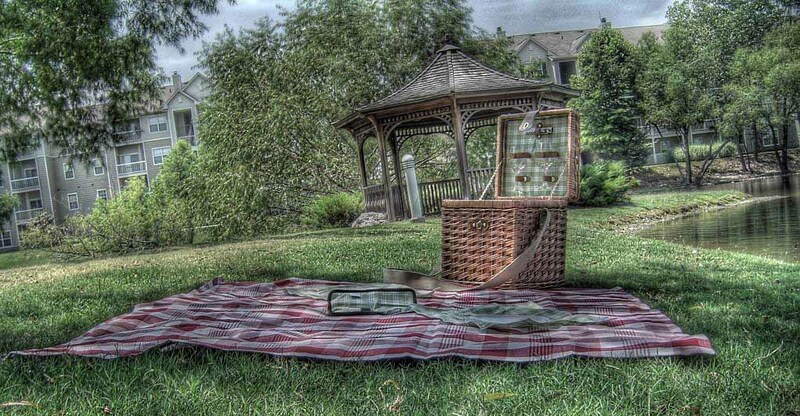 For most it means dining al fresco and one of the easiest and fun ways to do it is having a picnic. Still, like everything else, it’s all about planning. First thing is to check the weather forecast. The weather app in your iPhone will give you that immediately. Or you can go to the weather.com or the Weather Channel. Second, plan your menu. Are you going to go traditional and go for the all time favorites: potato salad, fried chicken, watermelon, pasta salad, pinwheel sandwiches, bread, cheese & cold cuts? These are all easy to prepare and they hold very well. You can also decide via the activity you want to pursue: a hike in the countryside, a day at the beach or a walk in the park. Going hiking? Prosciutto and Roasted Red Pepper Sandwiches, Chips, grapes, Licorice twists, water will fit perfectly in your backpack and they don’t weigh much. A picnic at the beach? Roast Beef and Cheddar Roll-Ups, Tomato and Cantaloupe Salad, Soda and beer or wine will fit nicely in an insulated basket. A day at the park? You can create your very own splendor in the grass by setting up a lavish spread. Goat Cheese Spread and crackers, Sweet and Spicy Chicken, Pasta Salad with Asparagus and Lemon, Oatmeal-Raspberry Bars and White wine are the comfort food from home. Yet, it’s not just the food. It’s also about packing your tableware and accessories: Paper plates, Plastic utensils (Use and throw), Napkins (or a roll of paper towels), Sharp knife, can opener, bottle opener, scissors, Pre-moistened rough clothes (wet wipes), Thermo flasks to keep drinks warm or cool. And for comfort, don’t forget to bring blankets, throws and pillows such as those available at www.urbanara.co.uk. Known for their high-quality homewares at affordable prices, URBANARA offers blankets and throws made of wool, cashmere, alpaca and mohair. Urbanara’s cushion and pillows are not just functional; they also create a comfy atmosphere whether used indoors or out. Hence, if your picnic is a romantic setting for two, that comfy feeling becomes cozy, thanks to those blankets and pillows. And, if the picnic is for a gathering for the whole family, those blankets and pillows are great for taking naps after a delicious meal.